Humans weren't built to last apparently. As reported by USA Today, a group of capable individuals decided to reconstruct the Titanic and give the new boat the same name. 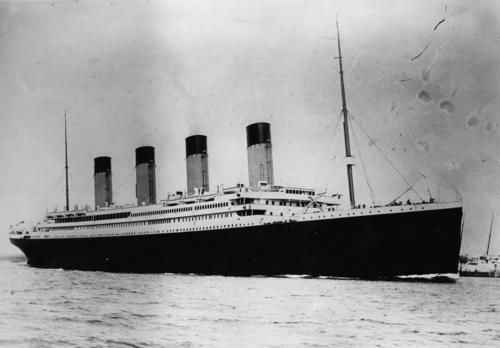 Dubbed the Titanic II, the ship is set to embark on an identical journey to the one that the original went on in 2022. The first Titanic sunk on April 12, 1912. The new boat will carry 2,400 passengers and 900 crew members, which is roughly the same number of passengers on the first ship as well. The entire effort to recreate the Titanic experience will be different in one big way: The new boat will be equipped with countless lifejackets and lifeboats. Of course, updated technology will also help maneuver the seas, and it's highly unlikely that the Titanic II will join its sibling at the bottom of the Atlantic Ocean. The ship's cabins will be placed in the same layout as the original, and it will sail from Dubai to Southampton, England. From there, it will continue on to New York. The Titanic II is being constructed in China, instead of the original shipyard in Belfast, Northern Ireland. After the ship's first voyage, it will continue on to other destinations across the world, much like the original would have.